Petticoat Spy by Carol Warburton, Blog Tour & Giveaway! Warburton does a great job setting the stage during the Revolutionary War with the Stowell family and specifically Abigail. From the start you know that Abigail is different, she is spunky and more adventurous than your typical nineteen year old. 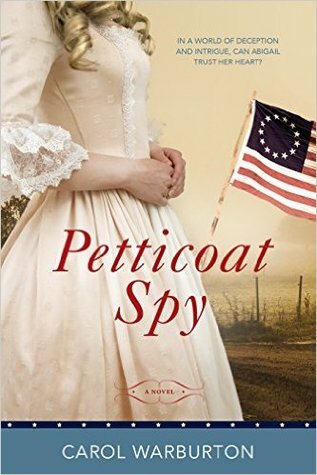 Petticoat Spy is a historical romance with action and intrigue that historical and action/adventure readers will both enjoy! Join Abigail on a journey like no other! Spying, daring yet courageous moves and romance! Color of Love by Anita Stansfield, Blog Tour & Giveaway! The British aristocracy is an inflexible judge. And for Amala, a lovely young Indian woman, that judgment is most keenly felt. Raised from a child by the wealthy Hepworth family following the murder of her parents, Amala grew up alongside the Hepworth's own daughter, Katarina, and was loved as both sister and daughter. The family is part of the charmed circle of the upper class, but Amala's place in society is tenuous. As an Indian woman, her life is marked by a sense of otherness and voices of prejudice. So when she embarks upon a sweet acquaintance with Henry Breckenridge, a white Englishman, Amala is both elated and terrified. She knows first-hand the opposition that an interracial couple would face, and courtship with Henry could destroy his standing in society. 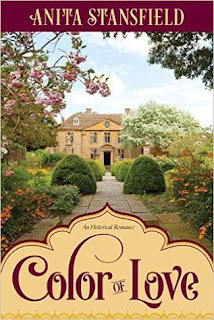 Determined to spare the reputations of both Henry and her sister Katarina, Amala flees England with the hope that an extended trip will allow her time to heal her broken heart. But she never imagined the repercussions of that decision, and the heartbreak awaiting her. For when she returns to England, she finds those she holds dear facing unparalleled devastation. And now it is her love that holds the key to healing a broken family . . . This was a really interesting read for me, I immediately became enthralled with Amala and her unusual life as an Indian woman living in England. Her circumstances were so unusual that her story just seemed to pull me in and hold me there. I loved watching Henry and Amala fall in love! Their connection was undeniable. I felt so sad, mad and frustrated all at once with Amala when she threw her feelings out the window and ran away. I mean how could she just run away from the love of her life because it would be hard? Life is hard! So I tried to understand her reasoning despite all of my frustrations with her! The book took a couple of very unexpected and surprising turns! I could not foresee how it ended and I do not think you will either. I truly enjoyed this unique story, I only wish the author had done more "showing" than "telling" throughout the book. This is a regency tale unlike any other you will read! 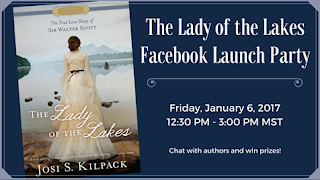 Come join the fun with The Lady of the Lakes Facebook party TODAY!!! Kilpack transported me straight to Scotland and then immediately immersed me in the history and culture of the land. 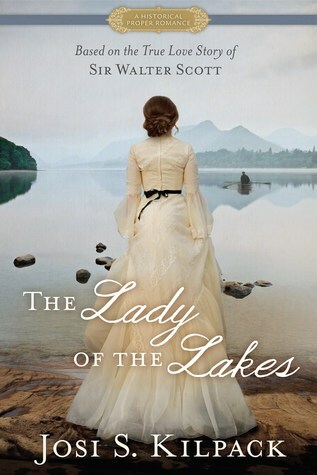 This historically based novel was interesting and informative along with the romance story of Sir Walter Scott. I enjoyed that Kilpack changed the perspective from each main character. It allowed me to understand what each person was feeling and thinking instead of inferring it from another character's POV. I felt like I really got to know Walter and how he felt and thought. This is a very different genre for Kilpack to write and I felt like she did a wonderful job with a newer genre. From the beginning to the end Kilpack will have you rooting for Walter! Discover the true love story of Sir Walter Scott for yourself in this wonderful novel based on his own love story! To escape an undesirable match, Miss Notley must give up her riches for rags. When Miss Coralynn Notley’s father barters her off to the first titled gentleman to come along, she realizes she must flee her home or be forced to wed a despicable man. Driven by desperation, she applies for the position of housekeeper at Tanglewood Manor, the home of the handsome Mr. Jonathan Ludlow. The moment Jonathan sees Miss Notley, he is intrigued. She is far too young and inexperienced for the position, yet there is something about her that that inspires a certain hope within him. Does he dare offer her the position of housekeeper or will doing so result in catastrophe? The Rise of Miss Notley is the delightful tale of a mysterious gentleman and a determined young woman, caught together in a web so tangled it begs the question: Will they ever get out?